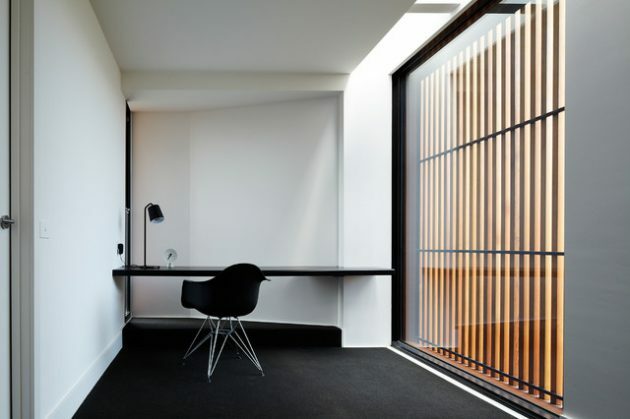 Minimal Home Office Designs are for those who likes simplicity and minimum furniture in their working environment at house check out how you can decorate your home office. 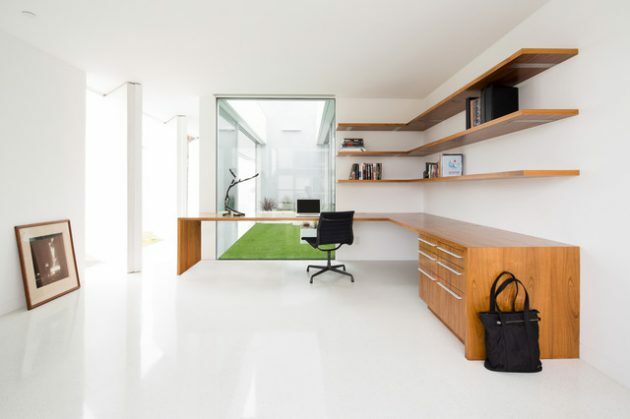 Home office is necessary now a days because freelancing have become important extra work that everyone is doing in their free time.Its not only for work, students can perform their homework and other study related activities like research while sitting in the working environment. 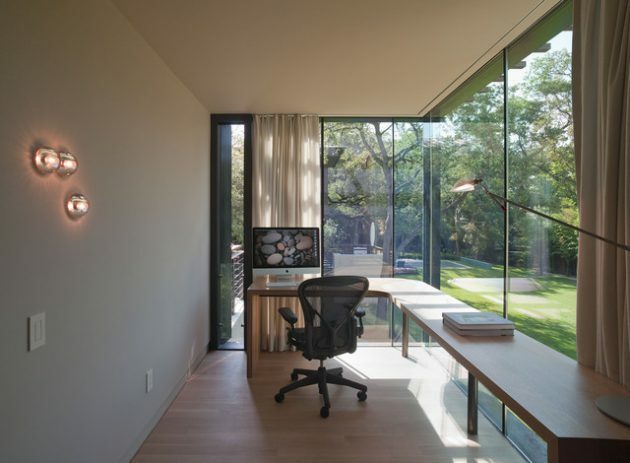 We have already shown you some of the home office designs check them out Contemporary Home Office and Traditional Home Office posts to see other types of home offices.This post is about minimum furniture with simplicity and elegance. 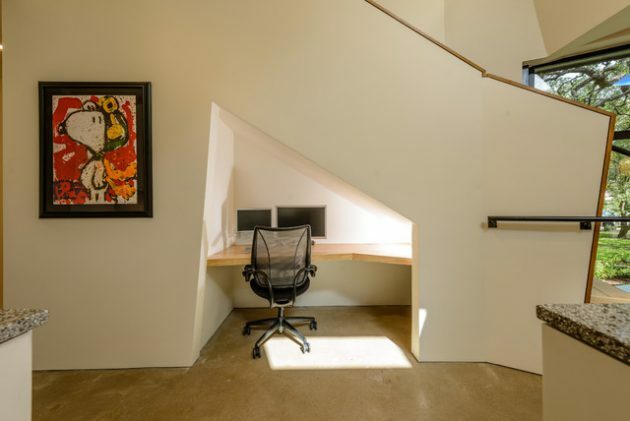 This post is about those people who don’t want to invest more but still want home office you don’t need to spend much just a little space can become your working area.You can have home office in your bedroom,living room or the place between the hallway. You can even recycle furniture small dining table that you don’t use anymore can become your office table only one chair is needed and a computer system with some papers nothing else.These things complete your home office extra things will depend on your choice how complex you want. Furniture choice should always be in bright and neutral colors so you can have neat and sleek working environment it is also necessary to have calm and relaxing environment that will allow you to more focus on work and what ever you are doing. 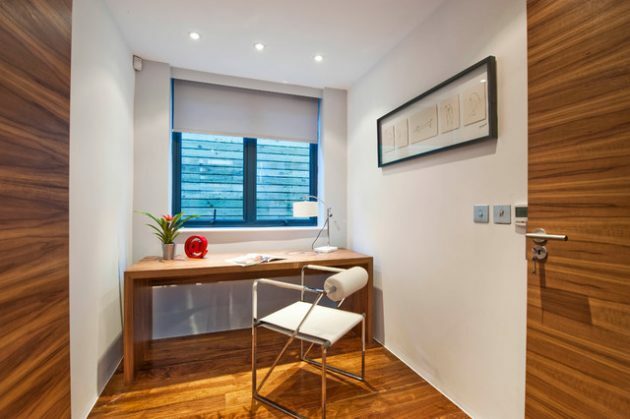 Don’t put extra stuff like paintings or hanging charts if budget is minimum then keep everything economical and useful.Lighting will also matter you need table lamp also to concentrate on the table and a light area just above the table in this way you can read more clearly. 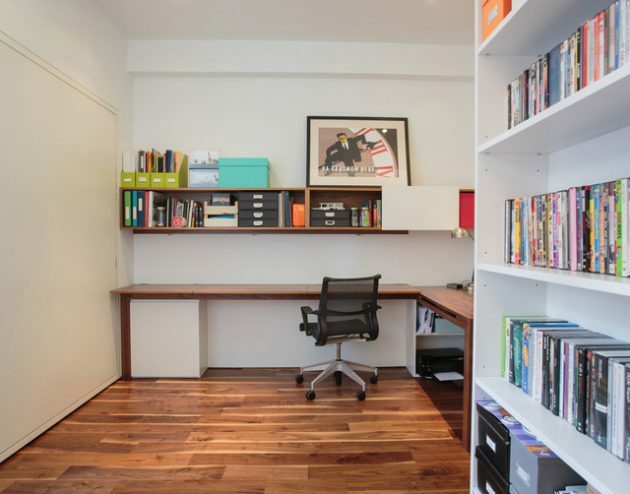 Documents and books should be kept on small shelves or in closets to have minimum area of home office interior lets check Minimal Home Office Designs from the following gallery and see how you can manage your home office.